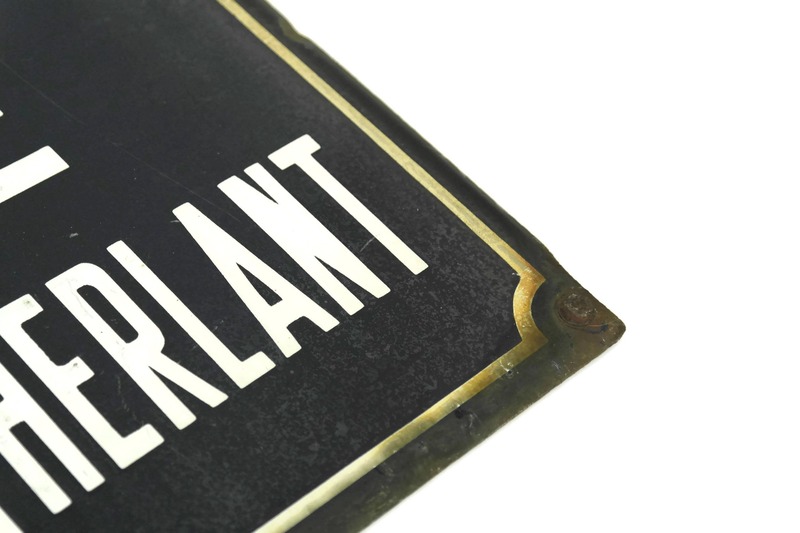 A rare French vintage enamel street sign dating to the 1940's. 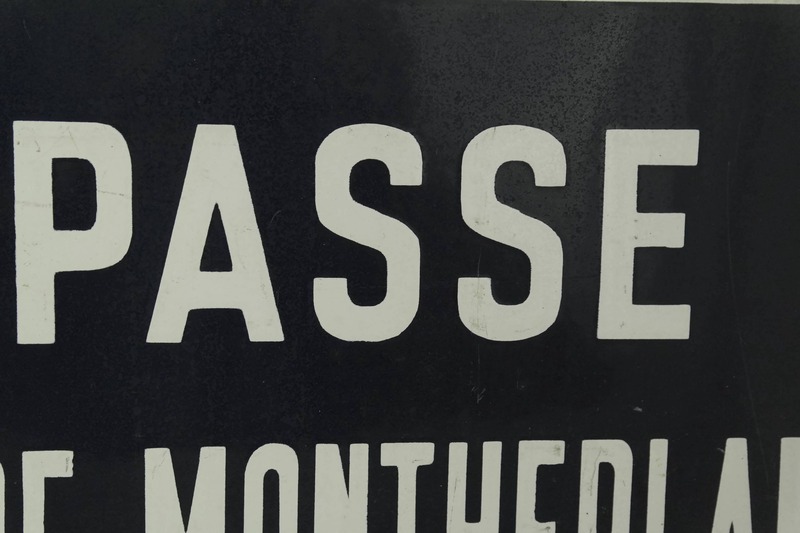 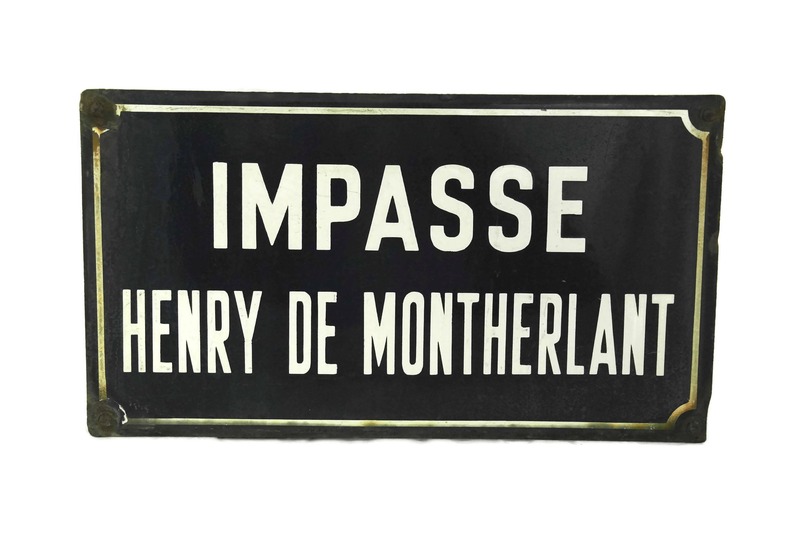 The piece is an original and authentic road sign that was once displayed on a French city street called "Impasse Henry de Montherlant", cul de sac named after Henry de Montherlant (1895 - 1972) who was a French essayist, novelist, and dramatist. 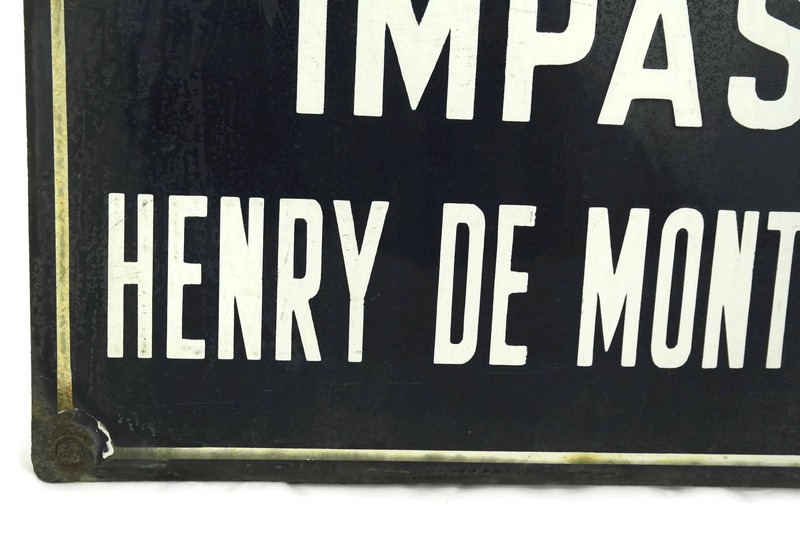 He was elected to the Académie française in 1960. 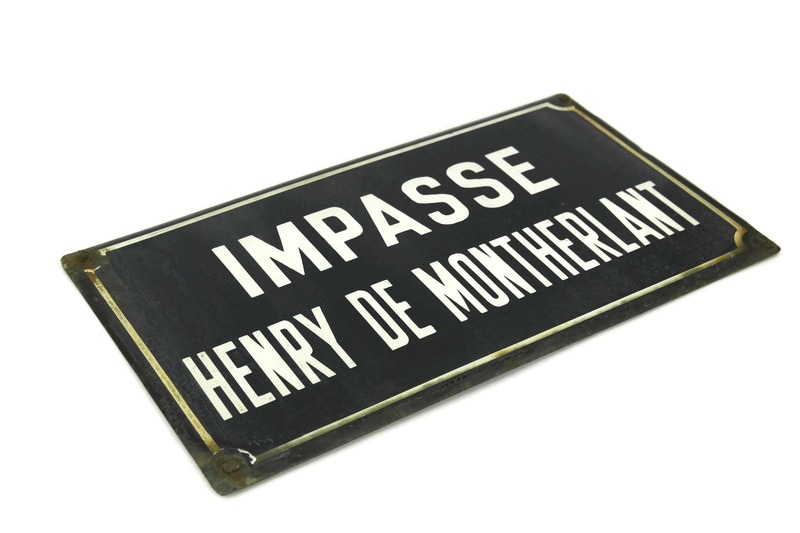 This vintage French street sign will bring just the right touch of French Chic to your interior. 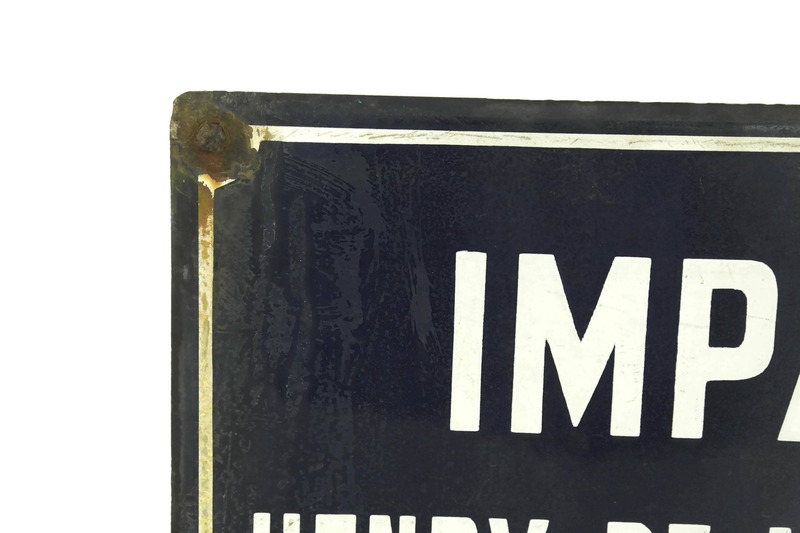 The street sign measures 17 1/2" x 10"
(45 cm x 25 cm). 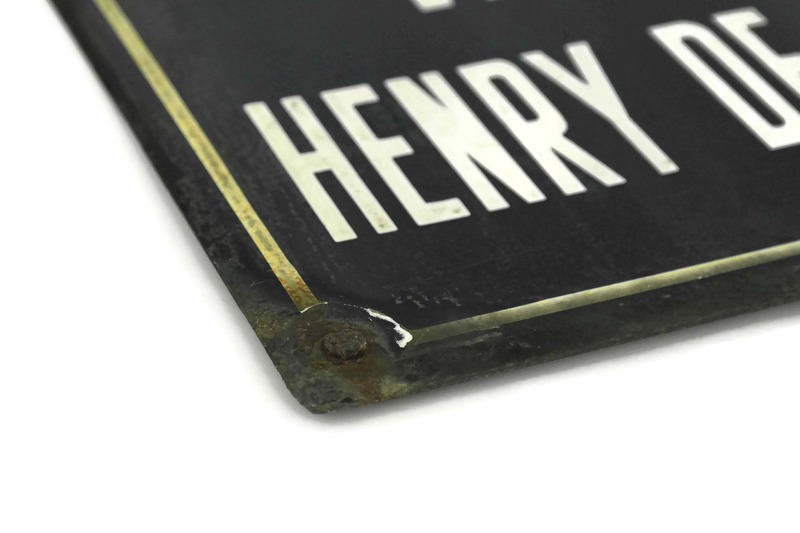 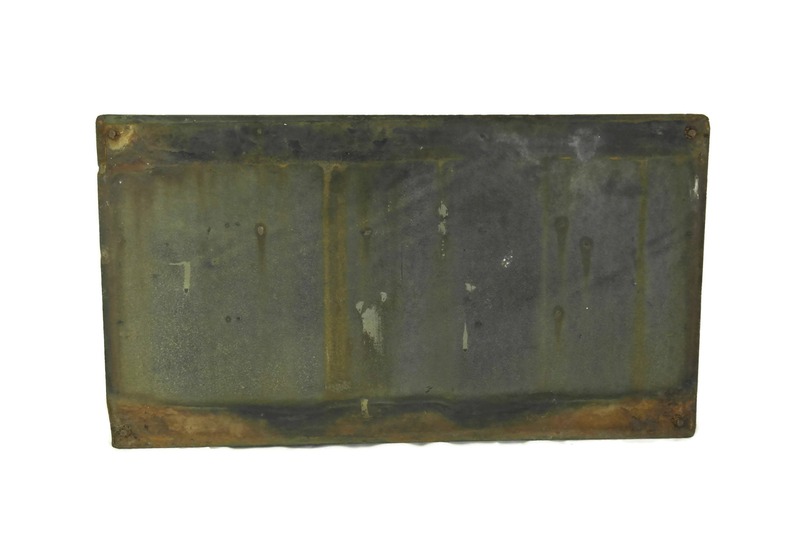 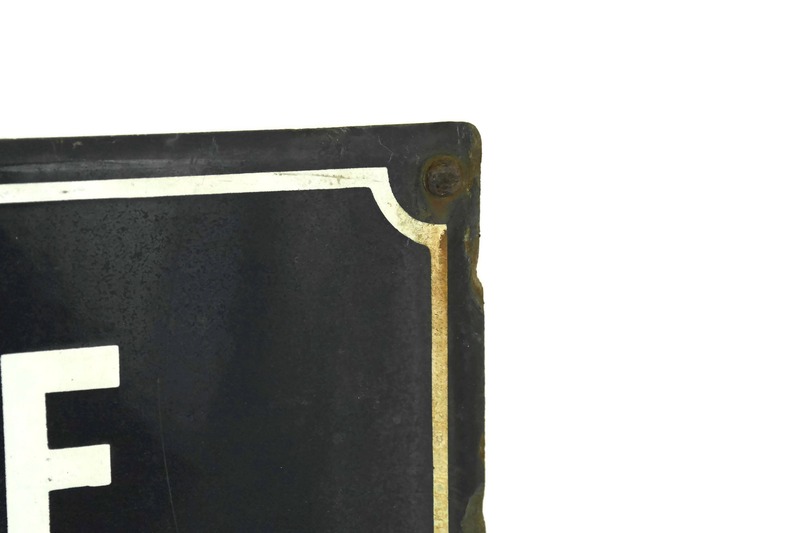 The French blue enamel street sign is in good vintage condition with signs of age including chips to the enamel, surface marks and light rusting in places. 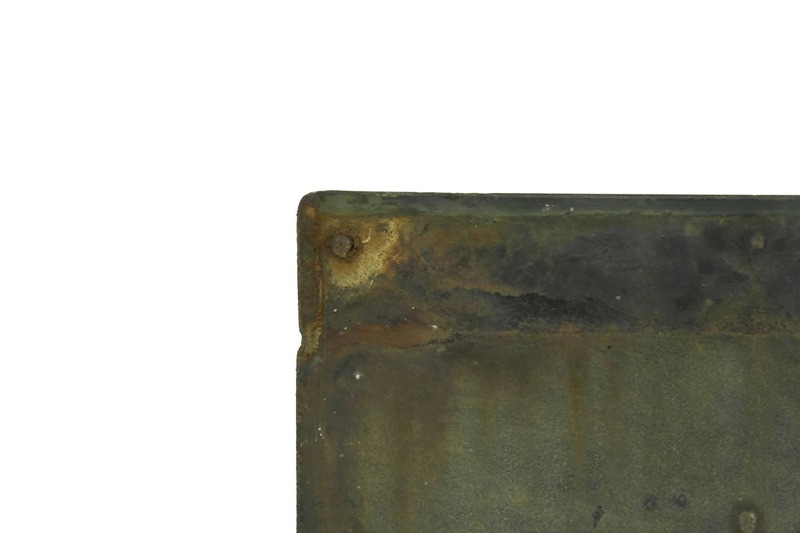 It still has its four original rivets attached.